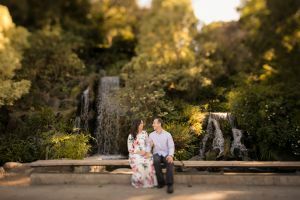 Much like Orange County, Los Angeles has many diverse backgrounds to offer for your engagement session. 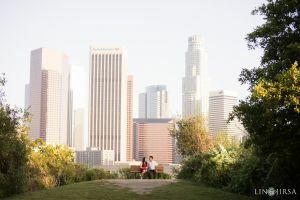 The highlight is the beautiful skyline of Los Angeles as well as unique art structures like LACMA and stylish hotels like the Viceroy. 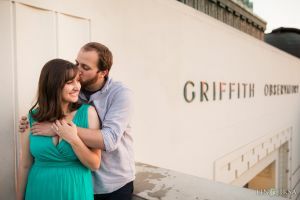 Check out some of our recent engagement shoots on our blog! 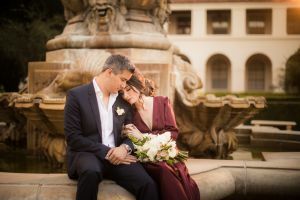 For some of our favorite Los Angeles Wedding Venues, click here. Low*: Low traffic areas a great because we have the freedom use any area at any time without having to wait for crowds to clear. Some clients also feel much more comfortable in these locations without onlookers. Medium**: Medium traffic areas can sometimes be busy depending on the weather and day of the week. If it happens to be busy, we may get fewer shots because we have to wait for certain spots to open up. High***: Shooting here can be a challenge because of the many tourists and photographers utilizing the same space. 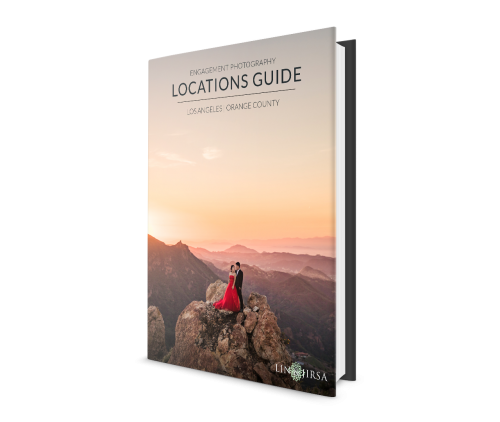 As a high traffic location, expect fewer photos because of longer wait times for clear shots. 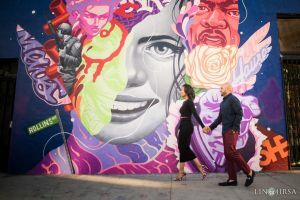 Downtown Los Angeles has a variety of great locations for your engagement sessions including LA Library, Angel Flight, Disney Concert Hall and Grand Central Market are great locations to hit while shooting in downtown LA. 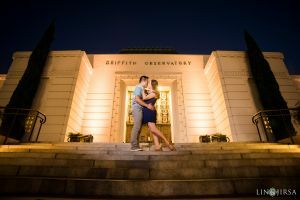 The city lights make for great engagement sessions at night. 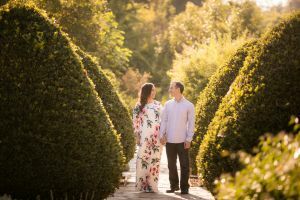 Diverse, beautiful landscapes make LA Arboretum engagement sessions unique. 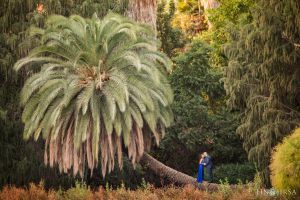 From bamboo forests to waterfalls to even African-like landscapes, this place is a photographer’s playground. Best time to visit: Anytime of the year, but expect more people in the summer months. Optional 2nd Locations: Typically this location provides for enough variety in settings that we do not move to a second location. Note: Clients will be responsible for paying the admissions fee for the photographer and the assistant. 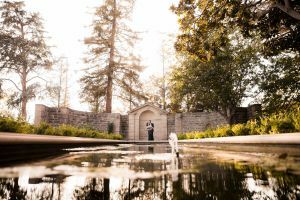 Also, the Arboretum’s door closes at 4:30PM but we are allowed to stay until 5PM so please plan your session accordingly. 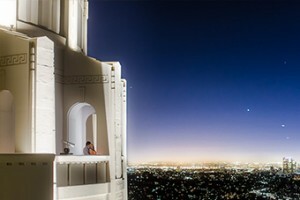 The Griffith Observatory and Park make for great photos during the day, sunset and at night. 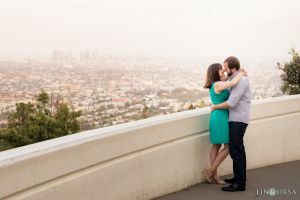 The building over looks the Downtown Los Angeles skyline and gets a clear view of the Hollywood sign, great backdrops for engagement photos. 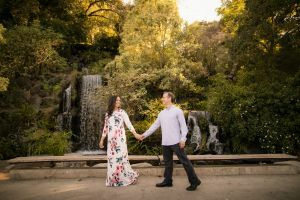 The nearby park is also an option to switch up your backdrops. Optional 2nd Location: The combination of the nearby hiking trails as well as the observatory itself make leaving for a second location unnecessary. 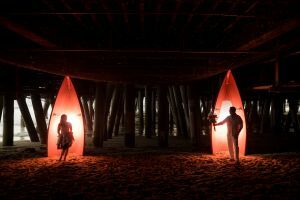 This is the best beach to shoot at in LA, located next to the Santa Monica Pier. 3rd street promenade is within walking distance and is a great location for night shots. Pictures on the pier make for awesome lifestyle shoots as well. 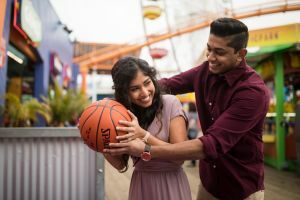 The Santa Monica Pier has many games, rides and yummy funnel cakes for you to take advantage of during your engagement session. 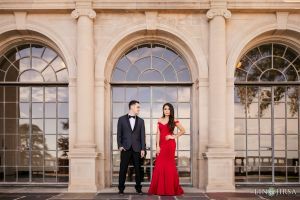 This Beverly Hills staple is the perfect location for an editorial styled shoot. The inner courtyard and lush, green gardens make for a gorgeous backdrop. 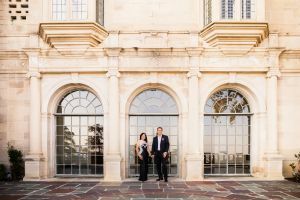 Greystone Mansion is located near the infamous Rodeo Drive. 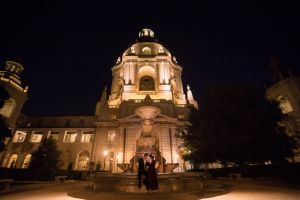 Pasadena City Hall has become quite a popular location Los Angeles engagement location. 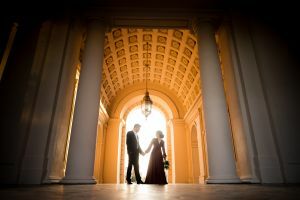 The beautiful architecture has made this one of our favorite locations to shoot at. 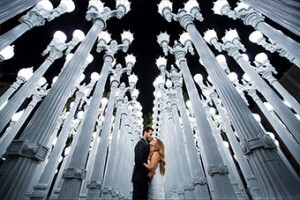 LACMA (Los Angeles County Museum of Art) is mostly known for its light display, Urban Light. 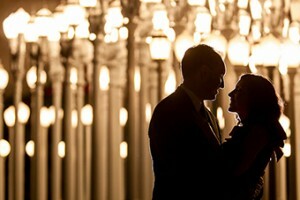 The 202 cast iron antique street lamps make a great backdrop for a night-time engagement session. 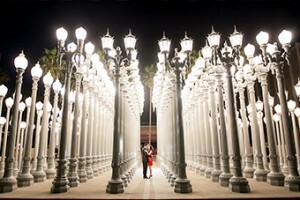 LACMA is located in Downtown Los Angeles and nearby many other photo locations. 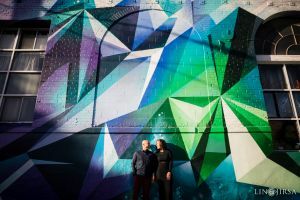 This page is focused on Los Angeles County locations. For Orange County, Click Here. 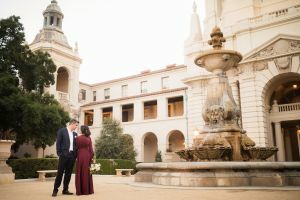 After 10+ years of experience photographing weddings in Southern California, we have become experts photographing engagement sessions at all of the best locations in Orange County and Los Angeles. To download this PDF, signup for our monthly newsletter. 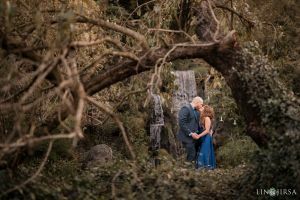 If you or someone you know is thinking about having an engagement session, you’ll definitely want to signup for our newsletter to view this PDF.